Five years ago, Belgian singer/songwriter Selah Sue broke out throughout Europe like a fake virus outbreak in a stale popcorn movie. Her debut went multi-platinum there, and one can expect the electro-soul artist to have similar results here in the states. Tomorrow, she'll drop her second LP entitled Reason, and it's an eclectic mix of strong beats, subtly, and power. Watch her video for "Alone" above, which recently debuted on VICE's Noisey, and get ready to watch the next big thing. That term, by the way, I don't use as loosely as most. There's quality here. Authenticity. Before we get to our interview with her, let's just go over a few things. First off, the album is produced by wunderkinds including Rhye's Robin Hannibal (Little Dragon, The Internet, Kendrick Lamar), and and Troy Taylor (Whitney Houston, Aretha Franklin). Childish Gambino co-wrote the track "Together" and drops bombs on it. Keep an eye out for Selah Sue, and listen to the interview (it's audio and my video editing skills are equal only to a fourth grader) and an advanced stream of the album below! 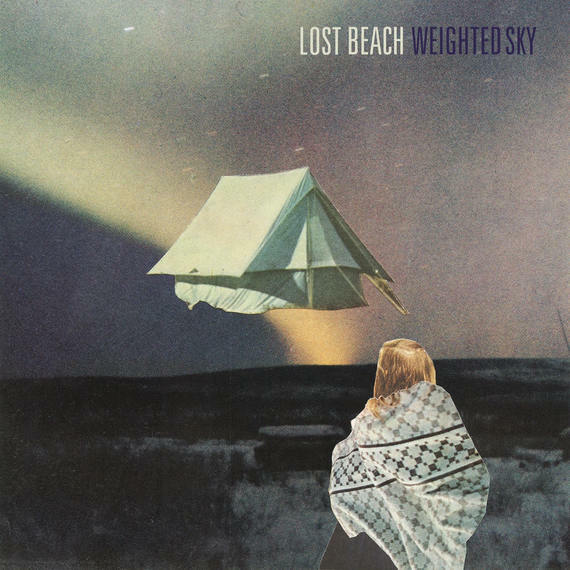 The Los Angeles-based band Lost Beach formed like five minutes ago. OK, not exactly but they're so fresh I hear even the Tropicana lady doing squat thrusts.I have no clue what that means, but my point is this new band is providing music as cool as a summer breeze but with a dark edge. Inspired by Townes Van Zandt, the band - Jonny Perdue (singer/guitar), Steve Stout (lead guitar), Zacc West (bass), Davey Allen (keys), and Davey Latter (drums)- will slowly spread their flavor song by song until releasing their self-produced debut LP later this year. Hear the band's first song, "Weighted Sky," right here before anyone else! Jon Chattman's music/entertainment series typically features celebrities and artists (established or not) from all genres performing a track, and discussing what it means to them. This informal series focuses on the artist making art in a low-threatening, extremely informal (sometime humorous) way. No bells, no whistles -- just the music performed in a random, low-key setting followed by an unrehearsed chat. In an industry where everything often gets overblown and over manufactured, Jon strives for a refreshing change. Artists featured on the series include Imagine Dragons, Melissa Etheridge, Yoko Ono, Joe Perry, Alice Cooper, fun, Bleachers, Charli XCX, Marina and the Diamonds, and Bastille.